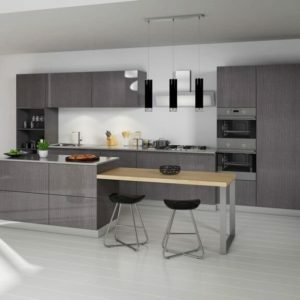 If the kitchen cabinets in your home are part of the original construction, odds are you have outdated cabinet design. 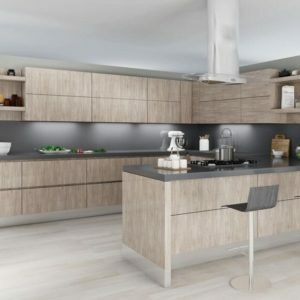 The past decade or so has been a time of great development in kitchen cabinet design as convenient new features have been implemented into a new generation of cabinets. 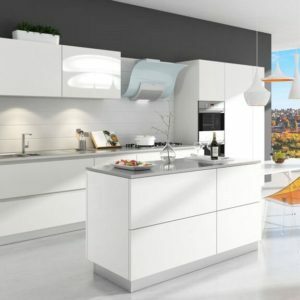 If you haven’t been shopping for cabinets in a while, get ready to be pleasantly surprised. Take something as simple as drawers. 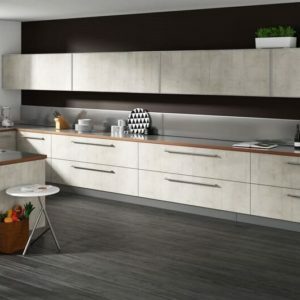 The old type of drawers that ride on inexpensive rails or glued wood that frequently get stuck — in other words, the kind of drawers you probably have in your kitchen right now — are outdated. Today’s drawers feature modern hardware that allows them to open and close smoothly with just a light touch. Contemporary drawers also come in a variety of sizes and styles so you can include those that fit your specific needs and design plans. Modern kitchen designers also have finally solved the age-old kitchen problem: What to do with the trash can. Pull-out trash slides allow you to keep your dirty, smelly trash and recycling containers hidden. Built-in cabinetry is space-saving as well as cosmetically superior to leaving your garbage out for all the world to see. 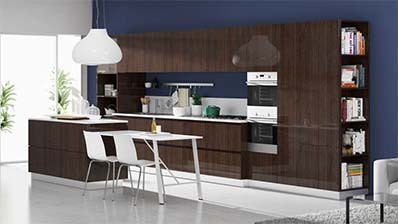 Vertical dividers are another contemporary element of kitchen design. These convenient inserts allow you to store cutting boards, cookie sheets, muffin tins, and other flat cookware with space-saving efficiency. Similarly, spice pull-outs give you an out of the way place to keep your many spices, dried herbs, and other small packages without the clutter. Now you can get immediate access to exactly the right ingredients when you need them without having to search through the back of dark, crowded cabinets. 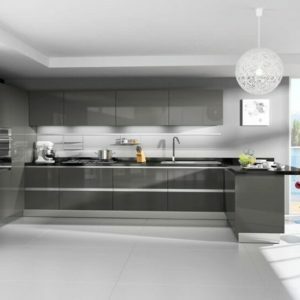 Today’s kitchen cabinets are a lot more efficient, and convenient, than the outdated cabinets in older kitchens.